UltraDEX provides advanced protection for your teeth and gums. Developed by leading dental experts and backed by extensive scientific research, UltraDEX technology removes oral bacteria to help prevent the build-up of plaque which, if left to develop, can otherwise lead to tooth decay and gum problems. 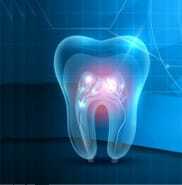 Research suggests 90% of adults in the UK will suffer from gum disease or gum problems at some point in their lives. Various lifestyle choices and health issues can all take their toll on teeth and gums. However, with an effective oral health care regime, it is possible to keep your teeth and gums healthy throughout life. 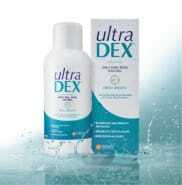 Using UltraDEX as part of your daily oral care regime will assure you of exceptional all round oral health. Additionally, UltraDEX oral rinses and toothpastes all contain fluoride to help strengthen teeth and provide extra protection from tooth decay.